The is the third in a series to help you understand why and how Alcohol Inks work. In the this lesson we look at “how” by applying what we have learned in the first two lessons to a simple flower petal exercise. You will see how the amount of alcohol dictates how far the dye will move, practice pushing and gliding to begin to gain control, layer multiple colors of inks, add alcohol as a layer, observe evaporated condensed ink and paint with the richer darker ink. 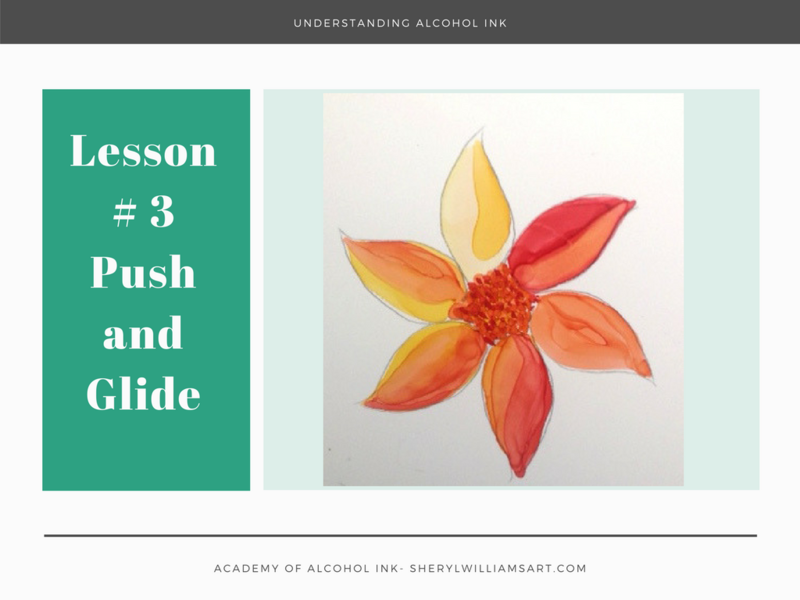 2 responses on "Understanding Alcohol Ink - Lesson #3 Push and Glide - How"
Thank you Sheryl, I always learn something from your videos.